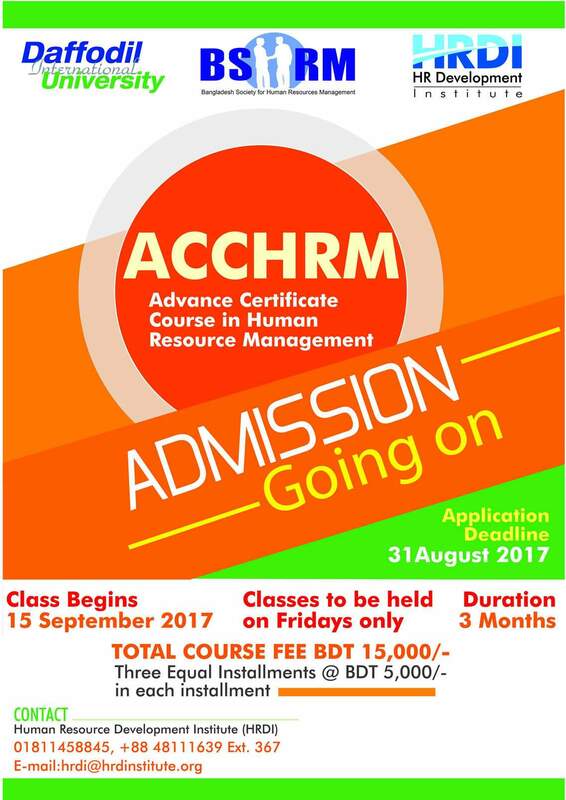 Admission is going on to ACCHRM jointly offered by BSHRM & DIU-HRDI (approved by UGC). BSHRM members will get 20% discount. We are pleased to share with you that HRDI of Daffodil International University and BSHRM decided to jointly offer the Advance Certificate Course in Human Resources Management.